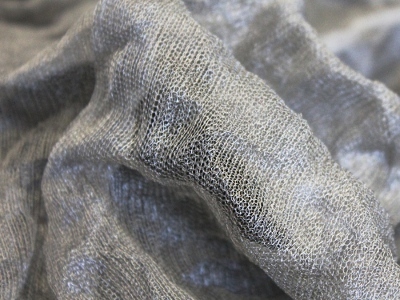 Description : Extremely soft stainless steel fabric knitted with hairline steel fibers. Warm to the touch, it is shiny and soft like silk. It can be laminated in glass.